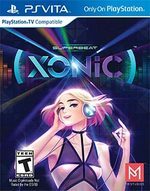 Experience SUPERBEAT: XONiC, the new music game sensation that's bound to have you on the edge of your seat! 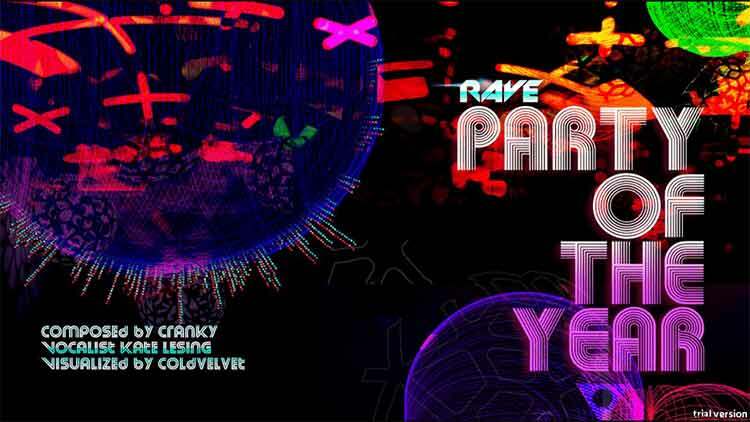 Enjoy the stunning visuals and effects as you play your way through over 50 unique songs and unlock tons of hidden rewards and items! Perform and perfect awesome combos and show the world you’re the best by climbing the Ranking system! 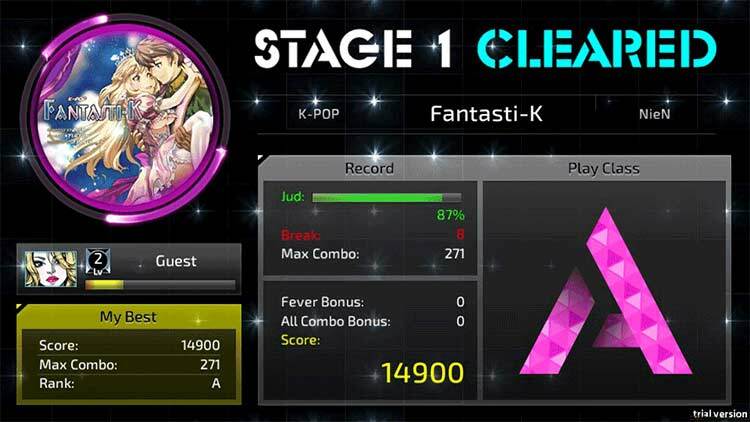 Even though I wasn’t as big of a fan of the song list in XONiC compared to other DJMax games, the developers at PM Studios prove themselves to be back in top form with a slick package that plays just as well as it looks. 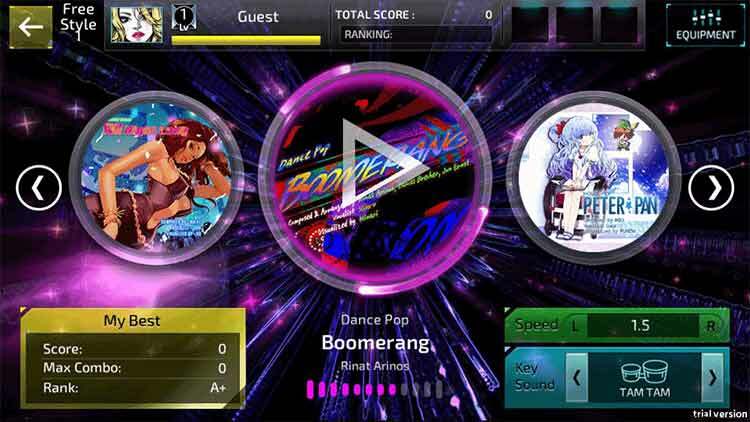 While it may be confusing and bizarre at first, Superbeat: Xonic quickly becomes an addictive time sink for fans of rhythm games. The combination of difficulty, sense of progression, and unlockable content can make it a hard title to put down even after your fingers get sore. It's not only a great addition to the Vita's library – it's one of the best rhythm games on the platform. The former has a much greater songlist and replay value, while Persona 4 carries with it similar gameplay with a recognizable cast and tracklist. Superbeat: Xonic is lacking all that. 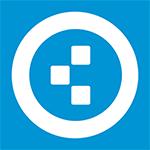 While gameplay at the core is functional and multilayered, most won’t find themselves excited to play over and over again. Filled to the brim with catchy tunes, I'll be revisiting Superbeat in the coming months anytime I travel. Apart from some brutally difficult challenges, the only other thing holding me back from giving this game a perfect score is that it is on the Vita, a system that I'd still regret buying even if this was the second best rhythm game I've ever played -- long live the king, PaRappa the Rapper. 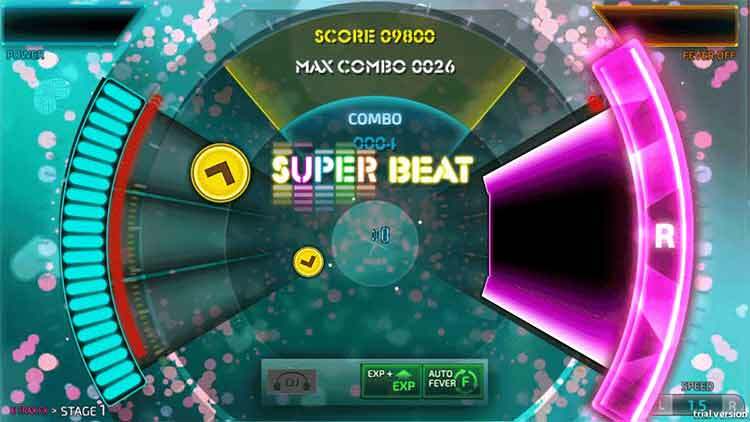 Superbeat: XONiC is a solid addition to any Vita fan’s library, even if you’re not a connoisseur of the rhythm genre. The tunes’ over-the-top excursions into sensory overload are a ton of fun, and their brief length makes them ideal for portable gaming. Superbeat: Xonic is a solid and ambitious rhythm game, and possibly one of the best to ever release on the PlayStation Vita. 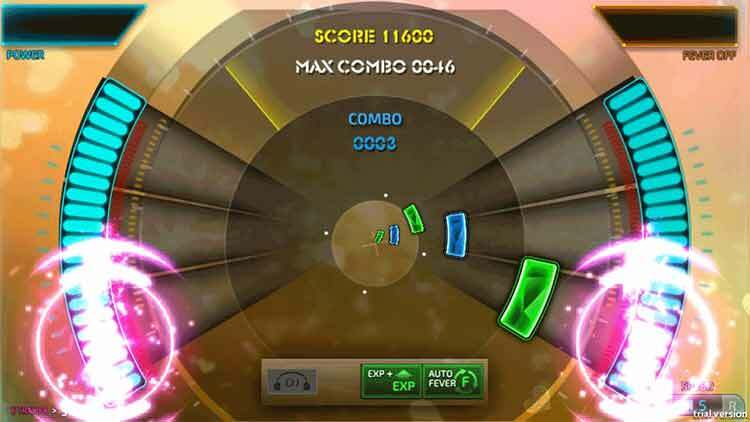 The large amount of content will certainly keep players enticed and immersed, but thumbs may feel strained during the task of playing the more challenging and rapid songs, unfortunately. However, thanks to incredible sounding music, ears will be blissfully satisfied, as well as the user and any avid music listener. Uno de los mejores juegos musicales que se puede jugar en Vita. Aunque tiene algunas carencias en modos y fallitos menores, su jugabilidad es una delicia que va a más en dificultad y exigencia. Un título que encantará a los fans del género. Superbeat Xonic es un juego musical complejo y profundo, capaz de enganchar a todos aquellos jugadores que busquen un reto a la altura de su sentido del ritmo. La selección de melodías es buena, aunque no excelente, y sus modos de juego ofrecen una amplia variedad de retos, a pesar de quedarse algo cortos. A esto hay que añadir que el interfaz y sistemas de menús no están demasiado bien explicados ni diseñados. Cierto, no encontrarás personajes carismáticos, ni una historia, ni siquiera trajecitos para personalizar a tu idol virtual, pero Nurijoy ha conseguido un estupendo catálogo de canciones, ajustes para la dificultad a medida de todos los usuarios y la droga digital de calidad que puede dar un género aparentemente tan inofensivo como pulsar botones a golpe de percusión. La presentación de este juego coreano me hizo recordar los tiempos en que disfruté tanto de las arcades del género, y lo puedo recomendar como una compra segura para cualquiera que quiera llevar en su bolsillo una experiencia de altísima calidad que se apega a todas las bondades de la escuela de desarrollo de juegos de ritmo del país que mejor sabe hacerlo. Ne vous laissez pas duper par les quelques concessions faites aux néophytes : il vous faudra beaucoup d’abnégation pour maîtriser le gameplay jusqu’au bout des doigts et platiner ça comme il se doit. Easy to learn, hard to master. On regrette d'autant plus l'absence d’un mode multijoueur, limitant cette expérience hypnotique à du solo uniquement. Superbeat: XONiC è una bella sorpresa nel panorama dei rhythm game su PlayStation Vita, rivelandosi un titolo divertente da giocare e "ascoltare". Con 59 canzoni e diverse modalità di gioco ci si può davvero sbizzarrire in mille sfide per molte ore senza correre mai il rischio di annoiarsi, a patto ovviamente di essere un fan del genere. SUPERBEAT: XONiC я бы сравнил с диким зверем: его тяжело приручить, но кататься на нем – сплошное веселье. Огромный спектр треков под любое настроение и вкус, крутые обложки, яркое и понятное меню, а также разные режимы и бонусы. Однако ребятам из Nurijoy следовало бы уделить больше внимания казуальным игрокам, поработав над балансом и сложностью. Ну а для тех, кто не боится испытаний, «супербит» станет отличным подарком и определенно ярким воспоминанием. Saya sendiri sangat suka dengan game ini, namun not kuning yang sangat memaksa kadang membuat saya cukup jengkel juga. Jika kamu mengaku sebagai penggemar game rhythm atau hanya sekedar ingin membuka wawasan mengenai berbagai genre musik, Superbeat Xonic adalah sebuah game yang sebaiknya tidak dilewatkan.